Two luxurious INFINITI models have topped their segment in the 2019 Vincentric Best Value in America™ awards. The 2019 INFINITI Q50 sport sedan was chosen for the Luxury Mid-Size Sedan category and the 2019 INFINITI QX60 topped the Luxury Large SUV/Crossover category. These awards are based on a variety of variables that are analyzed to create a profile that represents the greatest degree of value for a vehicle. Some factors taken into consideration are depreciation, financing, maintenance, insurance, and fuel economy. The vehicles chosen as award winners have a lower expected cost of ownership for their segment. These award honors are no surprise considering the excellent value one can expect from the entire INFINITI lineup. 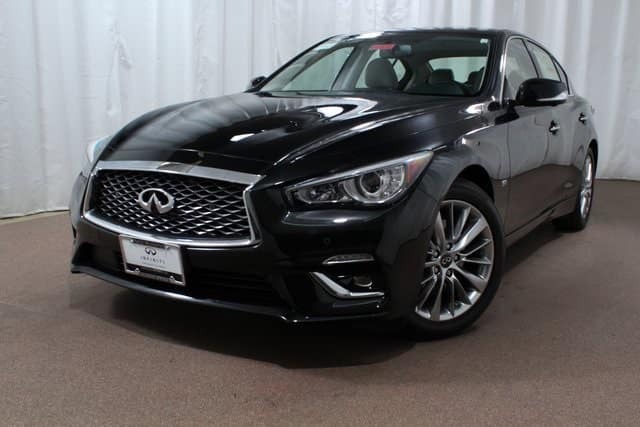 The INFINITI Q50 is one of our best-selling models thanks to its exciting driving experience. Choose from a variety of powertrain options including the popular VR-series 3.0-liter V6 twin-turbo engine. This engine has been named to the Wards 10 Best Engines list for the second year in a row! This sport sedan offers so much more too, including more advanced safety features than offered by competitors. Those include world’s first technologies such as Around View Monitor with Moving Object Detection, Backup Collision Intervention, and Predictive Forward Collision Warning. The INFINITI QX60 has a great blend of practicality, luxury, and innovation. This luxury crossover SUV has a third row of comfortable seating in a spacious interior that meets the needs of a family. The new Rear Door Alert System was designed with busy families in mind and is standard on the QX60. It can remind the driver if something may have been left in the rear seat. Add that to the other huge selection of driver assist technologies and you have a truly amazing vehicle. Depend on features such as Lane Departure Warning and Lane Departure Prevention, Blind Spot Intervention, Around View Monitor with Moving Object Detection, and Intelligent Cruise Control to provide a safer and more enjoyable driving experience. The QX60 also has optional Forward Emergency Braking with pedestrian detection and Predictive Forward Collision Warning System. 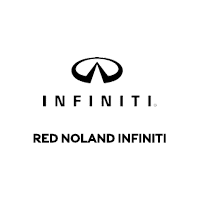 Visit Red Noland INFINITI in Colorado Springs and let us introduce you to these award-winners. We have a super selection of both so you can find the color and features that best fit your wants and needs.